Jain Center of New Jersey is celebrating Shri Munisuvrat Swami Jinalay Pratishtha Anniversary in Franklin Park, NJ on July 28th, 29th and August 1st and Shri Parshwanath Jinalay Jirnoddhar Anniversary in Essex Fells, NJ on August 12, 2018. Program details are given below. To map the community's size and spread in India, different Jain sects have come together for mega drive to hold internal census. The drive will start at the end of this September. More details are given below. Let’s come together and sign a petition to stop live animals export from India to other countries. 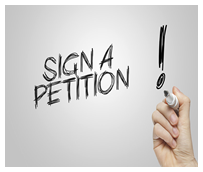 Petition link is given below. 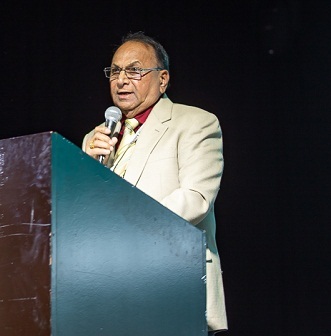 YJA Convention 2018 reconnected over 750 youths from across the world. This four days Convention was full of interactive sessions, networking with inspiring speakers, connecting with friends and making lifelong memories. More details are given below. Q 1: Name the karmas which are destroyed by Siddhas? Q 2: What kind of karmas Siddhas have? 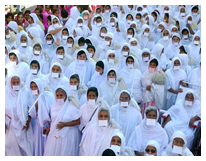 Jains were granted minority status, by Union Government of India in 2014, which could be four times bigger. To map the community's size and spread, different sects have come together for this mega drive which is set to be kicked off by the end of this Chaturmas. Online and door-to-door surveys will be held to count Jains. State and district-wise volunteer team will reach each household to collect the data. Some of the details this drive intends to collect are the person’s religious education, whether any person from the family has taken Diksha, details of his/her business or profession etc. Recently, the Indian Government has canceled the maiden export of sheep and goats to Sharjah in the UAE, which was to begin from Nagpur, because of the protest by the members of the Jain community. As it is a temporary decision and might change in the future. So to avoid such changes, we as a Jain community need to come forward and protest it. Let’s sign a petition and stand against such cruelty towards the animals. The petition is started by Jeevdaya Premi which addresses to Honorable Prime Minister of India Shri Narendra Modi stating why it is logical to stop the export of live animals along with an act of ahimsa and compassion. The Jains have built big and beautiful temples and are adoring, elegant and serene marble idols of Tirthankaras. Idol-worship has its own rights and Jains seem to have adopted the same at a subsequent stage because Jain scriptures have not recorded that Lord Mahavira at any time worshipped an Idol. 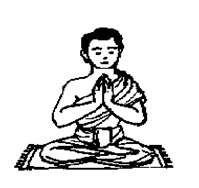 (Some sects of Jain do not believe in Idol-worship.) In fact, the whole emphasis of Jain doctrines is on the Atman (soul) which has no form. It would, however, undoubtedly follow that adoring the idols by jewelry and other ornaments and taking out processions of idols etc. have no philosophical background or justification - except perhaps expressing devotion. Attribution of ornamental glitter to one who is a Vitaraga is a gross negation of all that for which Jainism stands and amounts to the crude perversion of basic doctrines of Jainism. Thus, prayers or bhakti are differently perceived by the Jains but they do occupy a prominent place in Jain thinking. 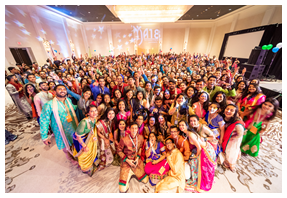 Last weekend, over 750 Jain youth from across the world reconnected at YJA’s 13th biennial Convention held at the Westin O’Hare in Chicago, IL. 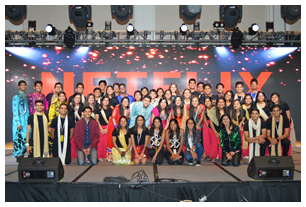 Over these 4 days, Young Jains attended interactive sessions, networked with other professionals and inspiring speakers, met new friends at the nighttime events, and made lifelong memories. This year’s theme was Reconnecting With Our Roots, which also celebrates YJA coming back home to Chicago, IL - the city that started the very first Convention 27 years ago. JAINA President, Gunvant Shah, addressed the youths and congratulated the YJA team for organizing amazing YJA Convention 2018 with tremendous efforts and great teamwork! JAINA has always encouraged the youth involvement by supporting and promoting various youth activities such as Jain Youth Exchange Program, Academic Scholarship Program, JAINA Summer Internship, Liaison with Academic Institutions, Mentorship Programs for Youth, Jain Milan, etc. JAINA, as always, will continue to support and motivate youth in sharing Jain heritage and religion among the youth and eventually passing on to the next generation. A 2: Siddhas do not have any karmas.